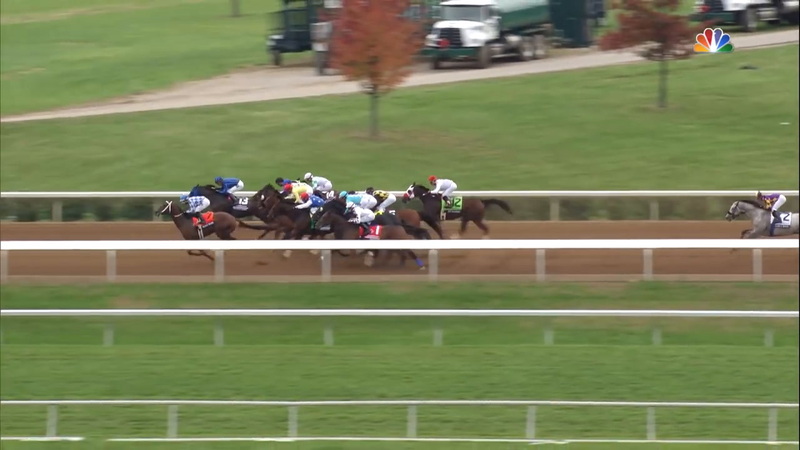 For the second half of the 2015 season the 3-year-old Runhappy lived up to his name, winning six consecutive races and dominating the TwinSpires Breeders’ Cup Sprint at Keeneland. Owned by James McIngvale and trained by Maria Borell, Runhappy had been away from the races after finishing ninth in the LeComte Stakes at the Fair Grounds in January. He returned in July with the focus on sprints, and won optional claiming races at Indiana Grand and at Ellis Park. Then the son of 2010 Kentucky Derby winner Super Saver set foot on a grander stage, coming to Saratoga, and beating competition at 11-1 in the seven furlong King’s Bishop at Saratoga (G1) in track record time. Then it was on to Keeneland a Breeders’ Cup prep in the Grade 3 Stoll Keenon Ogden Phoenix Stakes, this time as the favorite, but the result was the same, a front-running victory. 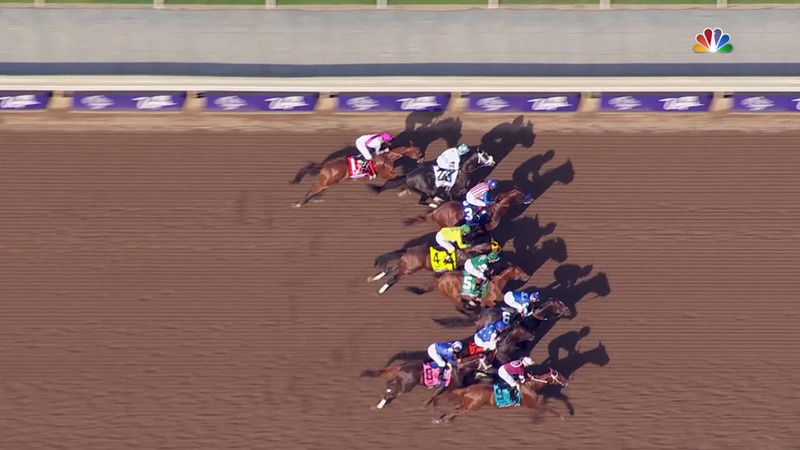 In the TwinSpires Breeders’ Cup Sprint, Runhappy broke from the fifth post position in a full 14-horse field at the 3-2 favorite. He tracked Holy Boss and second choice Private Zone through the first half mile before Prado angled him five paths wide coming into the stretch. Runhappy then spurted past Private Zone about 50 yards from the wire and prevailed by 1 ¾ lengths in 1:08.58 a new track record. For McIngvale, who believes in running his horses medication free, the victory was especially sweet. "My favorite words are authentic, genuine, real, and transparent," McIngvale said. "I think if we're going to talk the talk and walk the walk, we've got to do it. No Lasix for us. No drugs. Just hay, oats, and lots of water." Runhappy would go on to win the Malibu Stakes at Santa Anita just before the end of the year, but this time with a new trainer, as Laura Wohlers, McIngvale’s racing manager, stepped in to replace Borell. Runhappy was later honored with the 2015 Eclipse Award for Champion Male Sprinter.